1 YRS Dongguan Ruizheng Packing Material Co., Ltd.
2. Professional printing equipments and skilled workers produce excellent products as required. The size, quantity, design work, material and package solution etc all depend on your requests. Each step of production and finished products will be inspected before shipping. 13 YRS Shanghai Pely Packaging & Printing Co., Ltd. 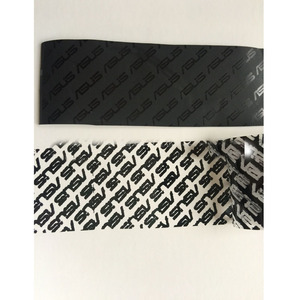 If you need our stock to check the quality, we can provide sample for free if you agree to pay postage. If the weight and volume is large,we often deliver by airline company or by sea. We have built long-term cooperation with courier and can get much discount to lower the shipping. Artwork PDF, AI, PSD, CDR etc Shape Design Customized as per requirement Application Paper package, Mark and sign, can be widely used on anything. Sample Similar sample can be free, if need same sample as your design, you need to pay for sample fee. Sample Time 3-5 days Place of origin Shanghai, China Lead Time 7-10days (the exact should according to the order qty) Payment T/T or Paypal or Western union,50% deposit by T/T and balance paid before shipment, we will take photos of all products for confirmation. 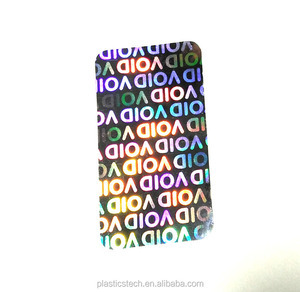 Alibaba.com offers 535 void barcode sticker products. About 92% of these are packaging labels, 4% are adhesive tape. 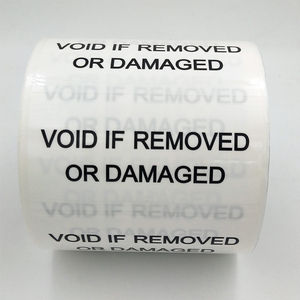 A wide variety of void barcode sticker options are available to you, such as paper, pvc, and pp. You can also choose from waterproof, anti-counterfeit, and heat sensitive. 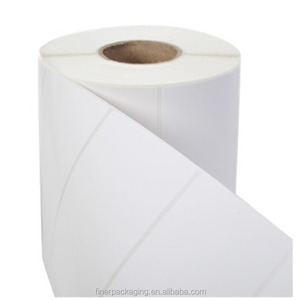 As well as from adhesive sticker, shrink label. 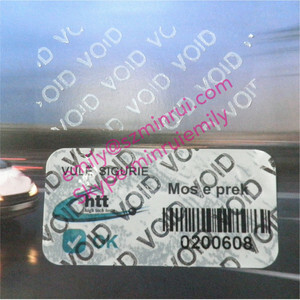 And whether void barcode sticker is custom sticker, or shipping labels. 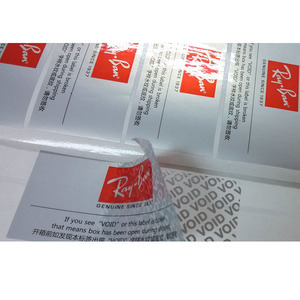 There are 535 void barcode sticker suppliers, mainly located in Asia. 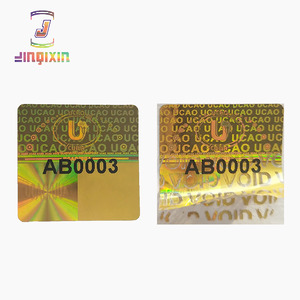 The top supplying country is China (Mainland), which supply 100% of void barcode sticker respectively. 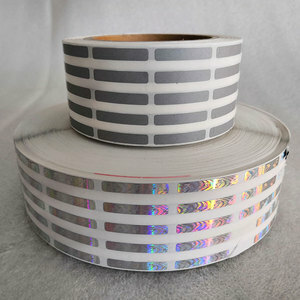 Void barcode sticker products are most popular in Southeast Asia, North America, and Mid East. You can ensure product safety by selecting from certified suppliers, including 141 with ISO9001, 131 with Other, and 18 with ISO14001 certification.